All Hands To The SCHLUESSELSCHLOSS! 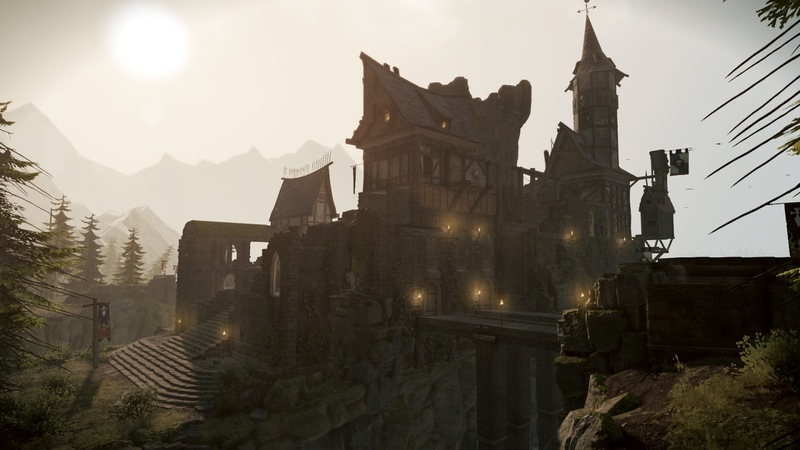 Left-4-Dead derivative Warhammer: End Times – Vermintide is getting its first meaty update. Back in December Sigmar’s Blessing was released, adding a host of new weapons, but around the end of February a new gamemode will hit alongside some supporting maps. 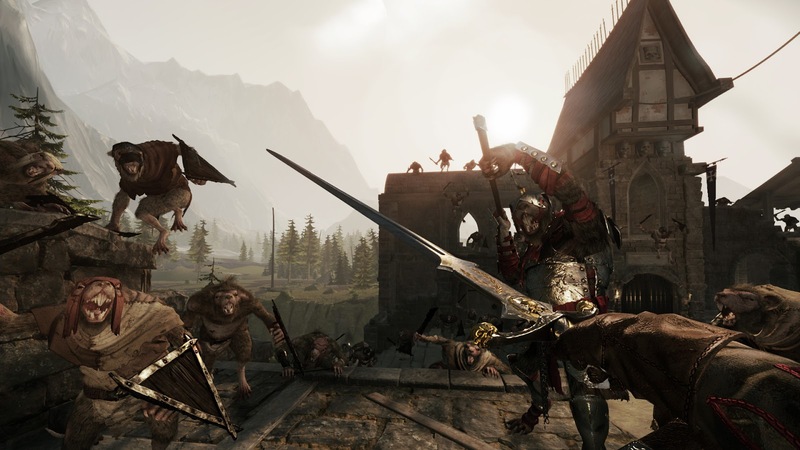 The Last Stand DLC will be free; it contains the Last Stand gamemode that pits players against an unending horde of Skaven, and the map Town Meeting in Ubersreik. The second DLC will have a price befitting of its name; SCHLUESSELSCHLOSS – just in case forgot it’s a Games Workshop property. 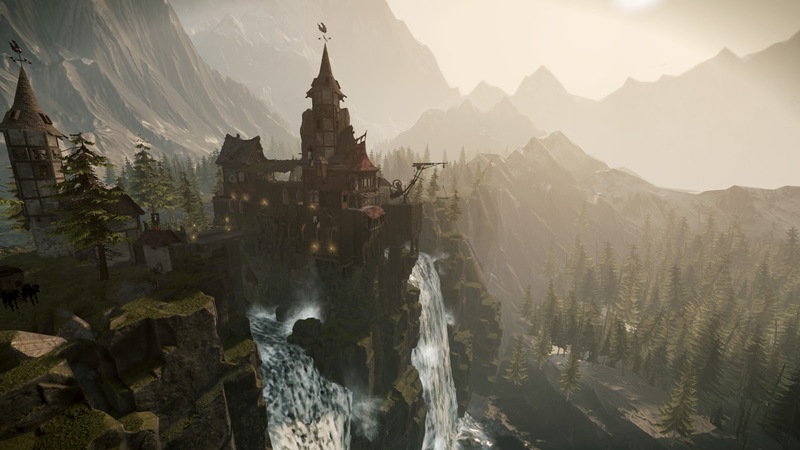 SCHLUESSELSCHLOSS will contain another map for Last Stand, set in the Grey Mountains, players who own the DLC will be able to invite players who don’t to play with them – neat. Fatshark, the developer, is holding a competition, in which players have been asked to submit suggestions for a better name for the DLC, the hundred best will receive it for free. Now the Skaven may not have made it to space, but the daemonic powers of the Dark Gods certainly have, Battlefleet Gothic: Armada, another hot Games Workshop title set in the Warhammer 40,000 universe got a release window. It’ll be available on Steam in March, pre-orders are up now. ‘Early Adopters’ will receive the Space Marine fleet DLC for free when it releases a few weeks after release, in addition to multiplayer beta access, implying multiplayer too will be patched in after launch. Here’s the latest trailer, spilling out some narrative details, which roughly amount to ‘oh God-Emperor, Chaos is coming!’ For what it’s worth it looks fantastic. Big news has been rolling out of EA all week long and we’re going to take it in reverse order, because in many ways it’ll make more sense. Firstly, the publisher has radically changed its approach to E3, the gala trade show the industry puts on each summer. EA will hold ‘EA Play’ events in Los Angeles (at Club Nokia, June 12 – 14) and London (at The Mermaid Event Center, June 12), that will be open to the public; these will replace their E3 show floor booth. It will still hold a press conference, but it’s shifted from their normal Monday spot, to Sunday. It looks like there will be some big reveals this year too; a new Battlefield will release “in time for the holidays”, with a new Titanfall “experience”, and Mass Effect Andromeda both hitting this fiscal year – meaning before March 31st 2017. That was all explained by CEO Andrew Wilson in the company’s latest financial report. 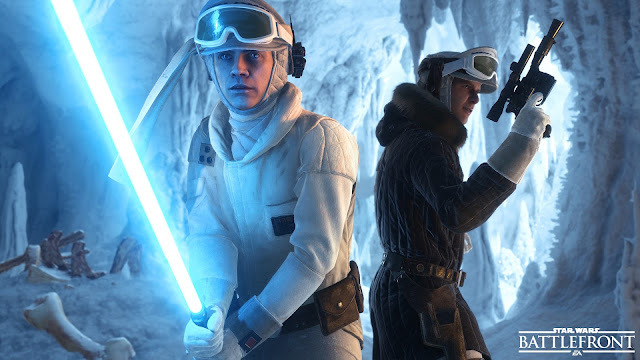 Earlier in the week Senior Producer, Sigurlina Ingvarsdottir, rattled off the details of Star Wars: Battlefront’s impending DLC content, of both the free and Season Pass variety. “The Tatooine Survival map will now support the Blast, Droid Run, Drop Zone, Hero Hunt, and Heroes vs Villains multiplayer modes, and is called Raider Camp. February will see a new Survival mission added to Hoth, along with a new Hoth map for the larger modes (Walker Assault, Turning Point, and so on). Furthermore, all existing large maps will be made to support Turning Point. March will add a new map to Endor, also for the large game modes, and a Survival map on Tatooine. “Outer Rim (March 2016) - Fight among the factories of Sullust and battle within Jabba the Hutt's palace on Tatooine. Bespin (Summer 2016) - It's hunt or be hunted in this action-packed experience set in the Cloud City of Bespin. Death Star (Fall 2016) – That’s no moon! One of the most iconic locations in the Star Wars universe makes its debut in Star Wars Battlefront. (Via Kotaku, Eurogamer, Battlefront Official Site). Premade Mods, What As The Industry Come To? 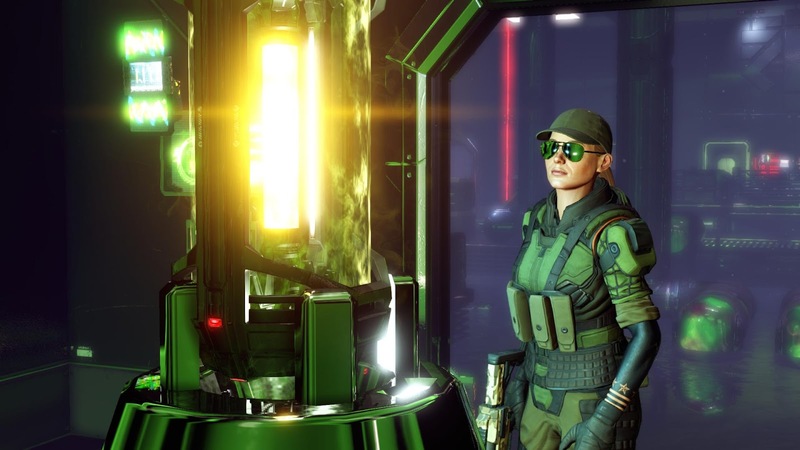 One of last week’s stories concerned XCOM 2’s mod support, and the production of mods by Long War Studios in time for the game’s launch. XCOM 2 releases this coming Friday and will be accompanied by three mods, all naturally much smaller than Long War Studio’s Long War mod for XCOM: Enemy Unknown. One will add submachine guns, which are less powerful than assault rifles, and contain less ammunition, but increases the wielder’s speed and decreases their chances of detection. Another will add leadership perks that can be unlocked by some XCOM soldiers, though only one leader may be present in any given squad. And the third adds a new enemy type, the Muton Centurion. "We'll see. We are certainly open and exploring the possibility of turning more content." This week I learnt that Homefront: The Revolution did in fact still exist and that unlike its predecessor, Homefront, it seems as if it will pack a substantial volume of content. The trailer below shows off the four player co-op Resistance mode, in which you and your squad mates fight for freedom in narrative-driven missions. You personalise your own resistance fighter; unlock skills, earn weapon blueprints and more, this is in addition to the game’s “30-plus hour” single-player campaign. Hasit Zala, Dambuster Studios’ game director proclaimed Homefront: The Revolution the “team's most ambitious project yet", not so bold given that it’s the studios debut title – to be fair Dambuster was formed from the ashes of a Crytek studio. They hope to provide 12 resistance mode mission for launch, with another 20 within the first year, all will be free. Resistance mode will be playable in the Xbox exclusive closed beta running February 11-14, it will launch May 17th on PC, PS4, and Xbox One. It’s also coming to Mac and Linux too at some undisclosed point. From a dozen forgettable initialisms and acronyms to one awkward one, Sony has transitioned, specifically the PlayStation divisions. Sony Interactive Entertainment LLC now encompasses all things PlayStation from its headquarters in San Mateo California, with Sony Computer Entertainment Inc. and Sony Network Entertainment LLC under one roof, alongside Worldwide Studios and PlayStation Vue. 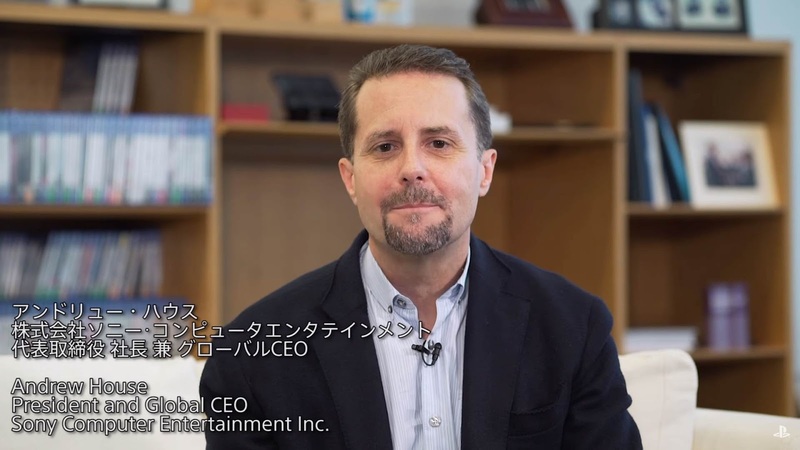 This consolidation as seen the core of PlayStation move from Japan to the US, under the multilingual watch of Andrew House, SIE president and CEO, pictured above. “It has become important for both SCE and SNEI to unify their business strengths under one entity with a single focus… [to] combine resources across their hardware, software, content and fast-growing network businesses, positioning [SIE] for enhanced competitiveness, continued expansion and market leadership in all areas." (Via The Verge, PlayStation Blog). I always like to see out the news on a light-hearted, or at least amusing note, and thanks yet again to the Japan’s Pokemon Company, doing so this week was no trouble. The trailer below announces the “cinematic adventure” game Great Detective Pikachu: Birth of a New Combination, which releases on the 3DS eShop February 3rd in Japan. Please note Pikachu’s wonderfully absurd voice acting, it is the best thing the industry has produced in weeks, nay months!